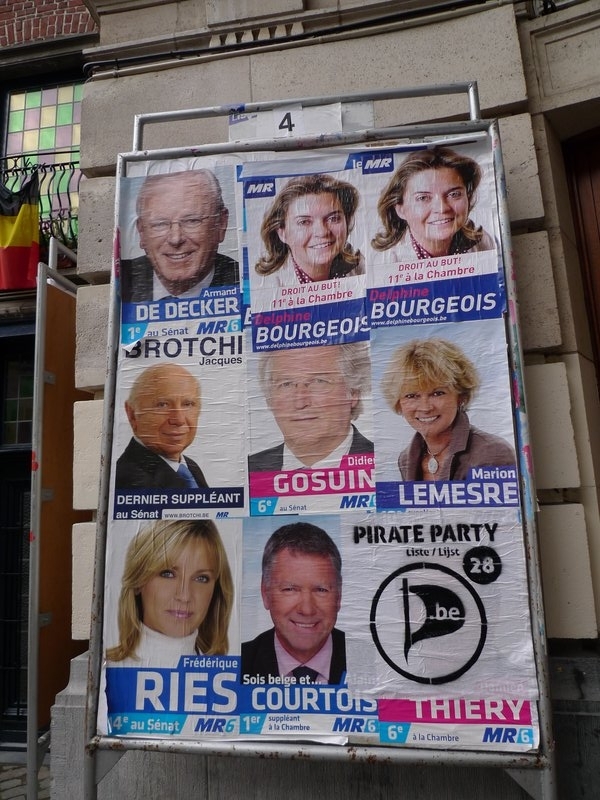 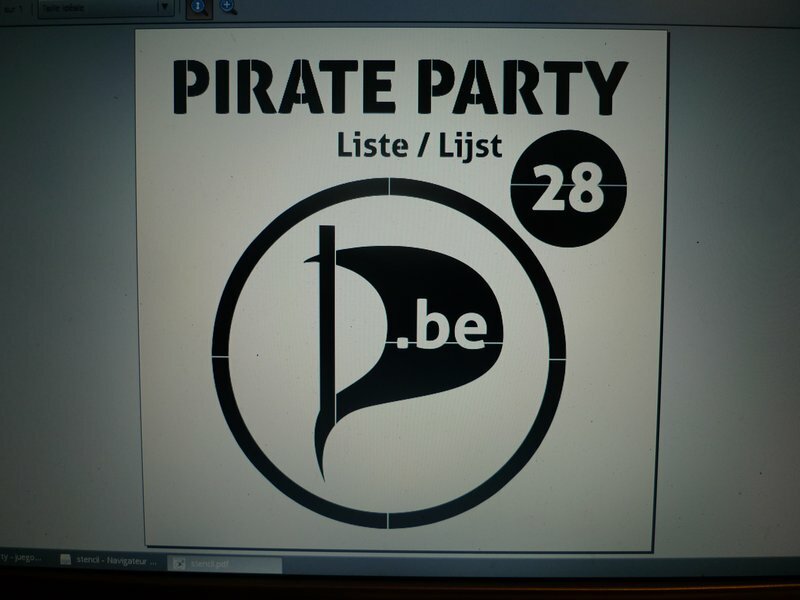 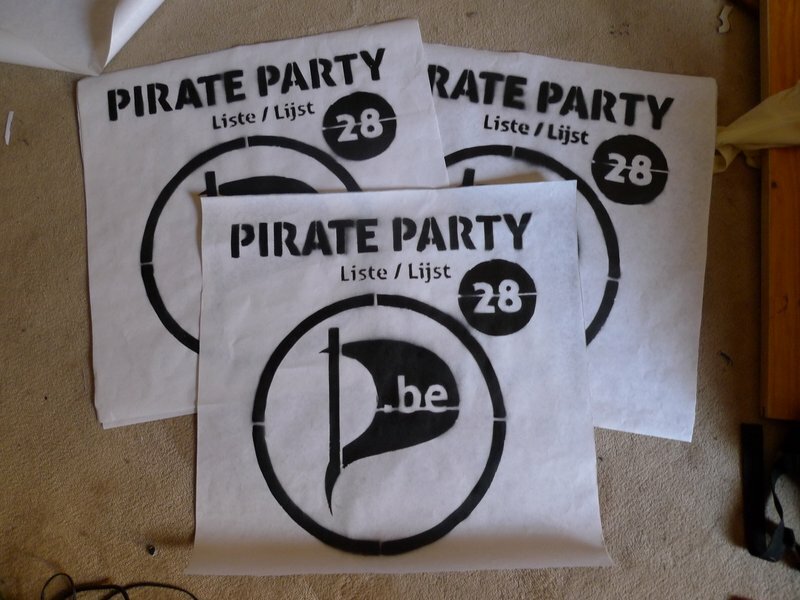 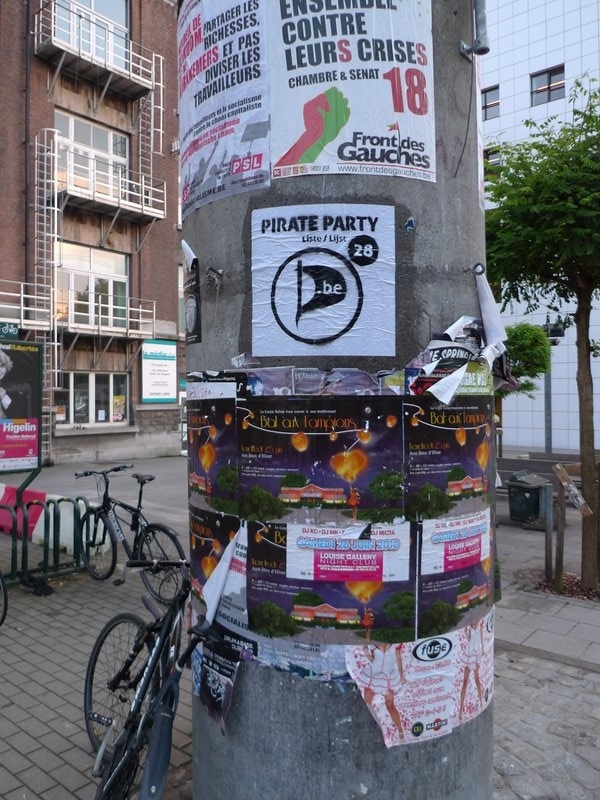 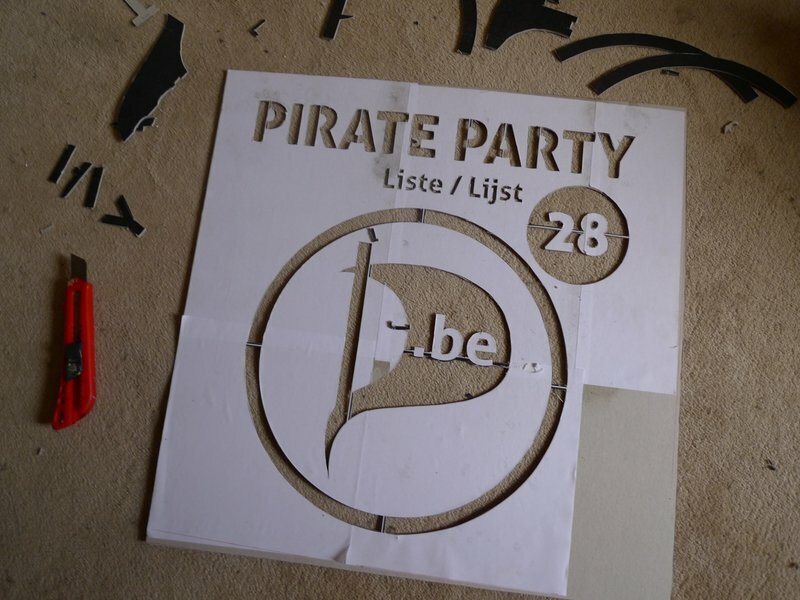 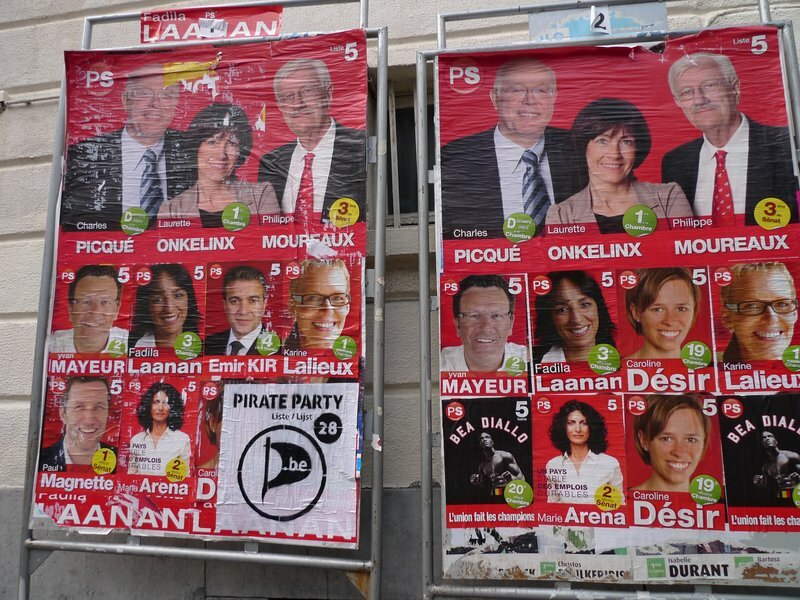 For the campaign of the Belgian Pirate Party for this election of 13 June 2010, I decided to make some posters using the well-know stencil method. 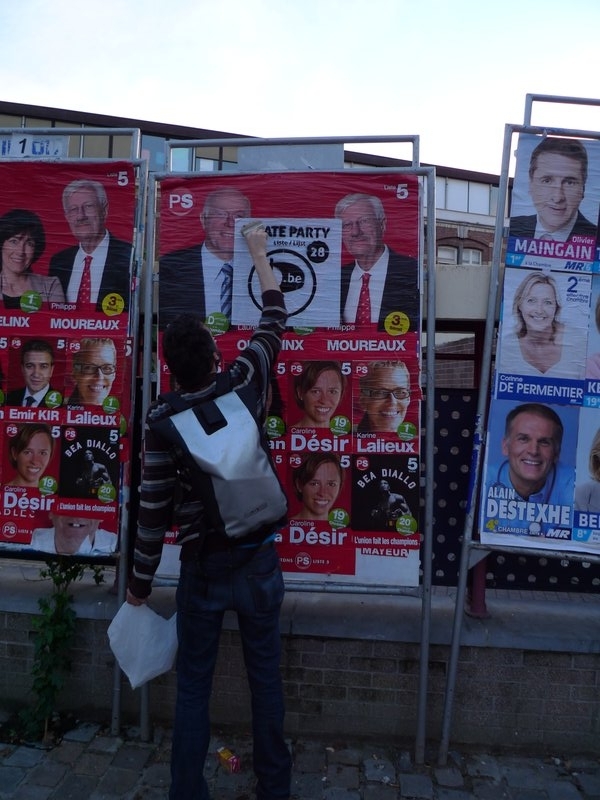 The advantages with this method is that it’s quickly done (took me about a day) and it’s cheap (which is nice when you’re a young political party). 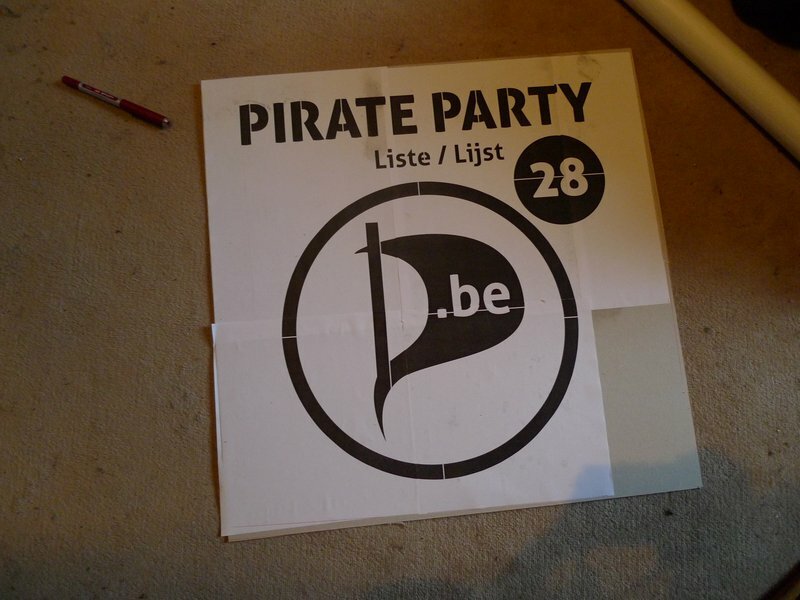 Best of all, it’s fun too and it fits well in the party’s philosophy (but that’s my opinion). 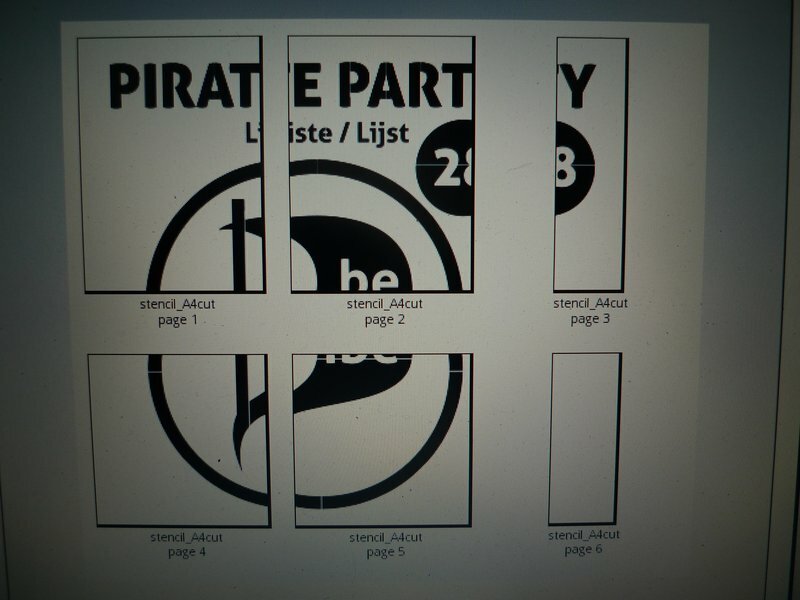 So here it is, the whole process in picture.